2019 is set to introduce some pretty major games on Nintendo Switch, with the likes of Yoshi's Crafted World, Fire Emblem: Three Houses, Pokémon, Animal Crossing, and Luigi's Mansion 3 all scheduled to arrive this year. Exact release dates for these games are still unknown (apart from Yoshi), but one UK retailer has listed a couple of these products with some oddly specific launch dates. Base.com, an online, UK retailer which specialises in games, film, and music, has pre-order options available for the upcoming Animal Crossing game on Switch, Luigi's Mansion 3, and DAEMON X MACHINA. According to these listings, DAEMON X MACHINA is expected in May, Luigi's Mansion 3 is coming in July, and Animal Crossing launches in September. You can see the pages for yourself below. It's worth noting that no other retailers have provided specific release dates for these titles, and the most recent official update we had on these games only said "2019", with nothing more specific than that mentioned. The site also has Metroid Prime 4 listed for release this December which, after the delay, definitely isn't the case. As such, we'd suggest you take the dates mentioned with a large pinch of salt. And then add another bucket load just to be sure. For all we know, these could well be the planned dates for these titles, but we'd urge you to wait for an official confirmation before getting too excited. Do you think there's any truth behind these dates? Do you think we'll receive official news on the matter soon? Let us know your thoughts in the comments. Seems weird they wouldn't hold Luigi's Mansion back for October / Halloween. @panthro Is this your first time with Nintendo logic? I don't believe it to be honest, while Daemon X Machina and Animal Crossing have release dates that make sense I really doubt we'd get the exact release date for Animal Crossing before E3. AC is coming very soon, I'm totally sure! Hype for animal crossing! Yay! I think Animal Crossing will be a holiday title, much like New Leaf (in Japan), City Folk, and Wild World. It's the perfect game to drop during that time (alongside Pokemon Gen 8, the rumored Switch revision, a possible price cut, other unannounced titles, etc) to drive engagement with younger and female gamers. Luigi's Mansion 3 and Daemon × Machina's release dates seem logical. Amazon Spain also lists Fire Emblem for a June 21st launch. AC:NL came out in June, I was kind of hoping of a summer release for this title, too. 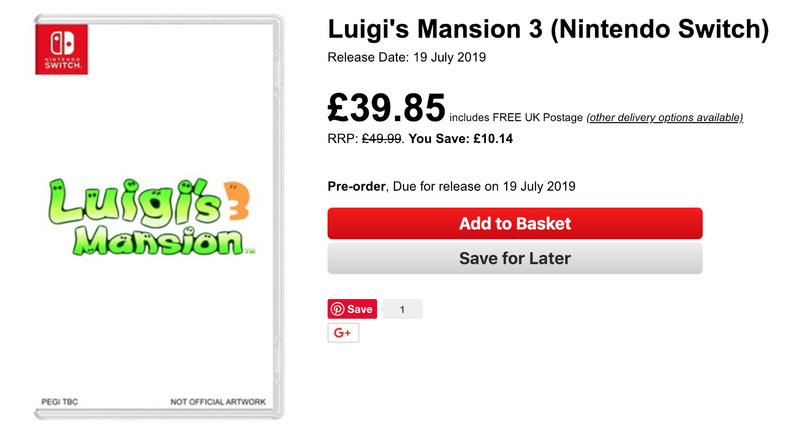 These are obviously just place holders (although the Daemon X Machina date sounds about right) but that looks a good price for Luigi's Mansion so might as well get a pre-order in now. Can always cancel later. I've used Base a lot and they have never been anything other than reliable. I can wait as long as possible for Animal Crossing. Because when that game comes--I will be playing that game like crazy. I still remember every Saturday night checking out KK Slider for a new song. New Leaf was magical and I hope the best for the next Animal Crossing. Don't tease me! I can't take it! @AlexOlney no, but it's my first time get a message from you, feel like I know someone famous. Hard to believe, I might be mistaken but normally the release dates are not on Fridays and all the dates on this website are Fridays. The only one that would make some sense is Daemon X Machina for May release. The others I don't know think are correct. My list of predicted dates Yoshi Mar 29th,Deamon X 26th April, Mk 11 10 May Uk version. Sonic team racing 24th May,CTR 21 st June, Fire emblem 21st June, Animal Crossing 26TH July. Unknown Switch game 23rd of August, September 20th unknown switch game (PIkmin 4 lol). October 25th Luigi Mansion. Nov 22nd Pokemon The end lol. Notice i mixed made up dates with real dates and i put a prediction for Pikmin 4 in there too lol.Oh and doom eternal will be out Nov 22nd i predict. These dates have been updated from more generic December 31st 2019 placeholders, and they don't seem unreasonable. @bones first of all, where are most of these release dates coming from? second, is Mk supposed to be Mariokart? which we currently have no knowledge of? releasing in 3 months' time? Is base.com a digital retailer or online retailer? It might be the same thing but I find it confusing. It sounds like they only sell redeem codes. I hope for Daemon Machine to be true because I would love to play it before than I thought. Not happening. Any of it. Mark my words. @panthro Luigi's Mansion 2 released in March so I don't think Nintendo are really that fussed with it coinciding with Halloween. Halloween is not exactly a part of their traditional Japanese culture. August is the season for spirits returning and ghost stories in Japan. So 19th July could technically be a somewhat decent fit for Luigi's Mansion 3. I came in thinking they'd just be placeholder dates, but they do look oddly specific. @Perryg92 i'm all for an earlier release, can't wait to play it. Release date for several games leaked! But don't believe them. My prefrontal cortex whispers: Please treat these dates with scepticism because, as noted, Metroid Prime 4 will definitely not be released in 2019 even though it is listed as such. The rest of my brain says: TOO LATE, THE HYPE TRAIN IS BOARDED AND READY TO LEAVE!!!! PLEASE MIND THE CLOSING DOORS!!! CHOOOOOOO-CHOOOOOOOOO!!!!!!! @TokuWaffle MK means mortal kombat, and as i said its only a prediction list so most of them dates will more than likely be wrong. I'd be interested to know how many of these "retailer leaks" turned out to be true. I wonder if someone is keeping score. That would be cool to see. @Rhaoulos Online retailer. They are selling the physical game, not codes. I use them a lot as they are often the cheapest and have always been reliable. Pre-orders often arrive a day or two early. WoW Classic, Fire Emblem, Pokemon and Animal Crossing all in the same year. Who needs sleep. 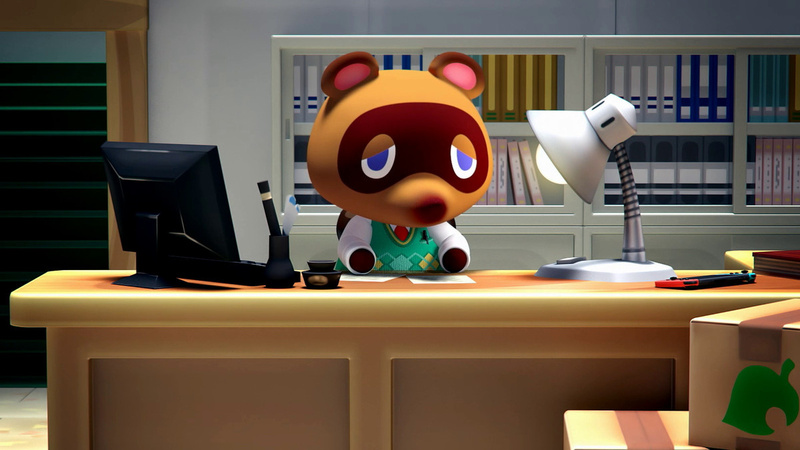 I wonder what is Tom Nook doing for Animal Crossing Switch. Will he in charge in Mayor position or House builder like before or will he give the player a Giant mallet to crash something like Dragon Quest Builders ? I believe each of these dates are real. The only exception would be Metroid Prime 4 which is definitely a placeholder for this year which they haven’t updated yet. I reckon the rest are true. Confused why Fire Emblem Three Houses doesn’t have a release date. @Ooccoo_Jr Thanks for confirming. That's what I thought, but "digital-only" means something different to me. I decided to look up some other announced but as yet undated titles releasing this year to see what Base put down for them. All placeholder dates. Doom as a Q1 placeholder is weird? @tourjeff Retail releases are almost always on Fridays. Article is incorrect. Base.com are not a digital only retailer. They sell physical copies as well, I've bought them from base.com myself. They are online only. I'm not sure if Base.com are British either, I thought they were Swiss. That aside, I love Base.com. Brilliant service and sometimes good prices. Base also have a placeholder for STEEP on Switch. But that doesn't mean it's happening. So I'd take these dates with a pack of salt. @Lionyone digital only as in, has no retail presence. Its bad wording that should be "online only retailer." Now, what with the original game being a launch title for the GameCube, I can see Luigi's Mansion 3's relatively simple structure allowing a summer release. Animal Crossing, on the other hand? That game is simplistic in the graphical department alone, but that aside, it has a metric crapton of other variables. I simply don't see a September release to be anywhere near the word "feasible". I think it's strange that there's specific dates listed, when we usually just get a "spring 2019" or "summer 2019" etc. I don't buy it — seems too straightforward. AC and Luigis Mansion dates need to be Switched. Not only is AC a better summer game but that's too close to Pokémon in November. Unless the next Pokémon game gets delayed into 2020, which it shouldn't b/c it was originally supposed to release last year and Let's Go was really just a filler. But that's the only reason I see for a fall release date for AC. Definitely not getting my hopes up on that release schedule.... They don't follow Nintendo's normal release schedule. @tourjeff Last year Smash and Pokemon launched on Friday. Diablo 3 did as well. New Super Mario U DX doesn't follow that trend though, but it's also a re-released. I think Nintendo launches most of their big titles on Friday now, though I could be equally mistaken. @panthro Pokemon comes out in November, so it wouldn't surprise me for a bit earlier for that. 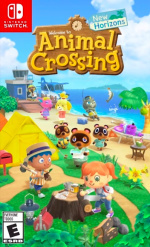 Hopefully this ends that asinine assumption that Animal Crossing was originally developed for Wii U then ported over to Switch, because if that were the case, it wouldn't have taken 2 1/2 YEARS after launch to come out! It's more likely than not to be late summer/early-fall as most Western releases were. These could very well be placeholders. 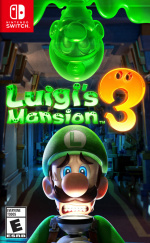 The Luigi's Mansion 3 date seems suspicious - why not wait until September or October? - but the theorist in me thinks that if these dates are true, then maybe something big might be coming after Animal Crossing? Oof, kinda wish the AC & Luigi's Mansion release dates were switched. If they're real, of course. Not at all confirmed. I understand that. But if they turn out accurate, Nintendo should swap the Luigi's Mansion & Animal Crossing release dates. Luigi's Mansion would be better around Halloween given its subject matter, & Animal Crossing feels like a perfect "lazy days of summer" type game. Indeed, that's what they did for ACNL on 3DS. Weird. Luigi's Mansion would seem like an October/Halloween game. First rule in market success: advertise your company with all means and attract attention by adding random release dates to your listed games. Deamon X machina is something I really look forward to, so its nice to see it coming so close. How many times have we seen these "Oops, we posted the release date early" stories have we seen that actually turned out to be true? @Hobbesyall I agree, but I think a Direct would mostly be for more immediate dates and news. I'm still hoping for a June release date for Animal Crossing to be honest. 😂 That'd keep me happy all the way to the end of the year I reckon. Hopefully by that time we get some news or a release for the new Pokémon game. These dates sound pretty solid. I would imagine they might move AC to November and Luigi's Mansion to Sept. But May/June sounds good for DaemonXMachina!